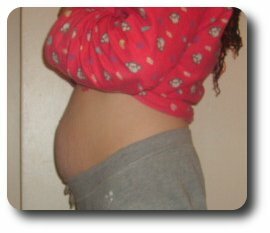 I am almost at the end of my first trimester,pregnant with twins. My 7 year old took these pictures. I was amazed at my beautiful belly shape, it's so beautiful. I think pregnant bellies are just gorgeous. Yay, pregnant bellies are lovely. I feel so confident when I'm pregnant! Your beautiful!!!! Love the belly!!! hello girlies! !